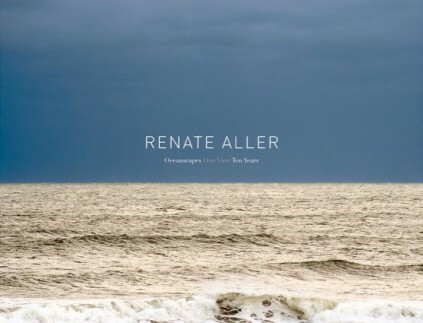 For over a decade Renate Aller has been photographing the Atlantic Ocean from a single point on the East End of Long Island in Westhampton Beach. Her images capture the essence of the place, the sparkling, shifting colors and the textures of the sea, and the endless interplay between sky and water and light that have drawn people to this area for generations. And there is not a mansion or privet hedge in sight. Aller is inspired by the great nineteenth-century German Romantic painter Caspar David Friedrich, who sought in his work to convey a subjective, emotional response to the natural world. By focusing on one place that is, like nature, ever-changing, Aller explores the rich, complex territory between landscape photography and memoir, evoking the viewer’s own visual library and response to place. The results are all the more striking when one considers that she does not manipulate her images in any way. Richard B. Woodward is a critic and journalist based in New York who has written extensively about art and photography. Petra Roettig is the head of contemporary art at the Museum Hamburger Kunsthalle. Jasmin Seck is a German photo-art historian who is co-founder of the Fotobuchtage in Hamburg.